During first trip to Vegas when I was 23, I stayed in an $18 a night hotel. It was part of my first adult USA trip and was one of the few times on that trip that I stayed anywhere other than a hostel. Back then, a $18 a night hotel was a treat! It was kinda cool at the time but I am so pleased to be past that stage of life. Even though I’m a non-drinker and non-gambler I still like Vegas. I like the sunny, nonjudgmental, everyone’s in vacation mode vibe. Here are some tips for having a classy trip to Vegas. 1. Don’t eat at buffets. Especially don’t buy a 24 hour buffet pass. One of the benefits of being vegan is that there aren’t all you can eat vegan buffets that can result in returning from a week long trip 5 lbs heavier. However, I totally get the appeal for non-vegans. Vegas has one of the best fine dining scenes in the US so don’t miss it. Most of your favorite celebrity chefs likely have a presence in Vegas. For vegans like me, this blog will be a tremendous help. Vegas has Broadway style shows, either touring versions that only run for a few days or weeks, or what’s called “sit down” productions that run for months or on an open-ended basis. Plan your trip around what you’d like to see. For example, Evita is on in Las Vegas in late November. You can also look out for flashy concerts, Cirque Du Soleil, comedians, and speaking events (for example Alan Alda is in town this month, which I’d love to see). I have to admit that I want to see Britney Spears sometime during her run in Vegas. Las Vegas Blvd is known as “The Strip” i.e., the Strip where the big hotels are. If you stay in the middle section of the Strip, as opposed to the far Northern or Southern ends, everything will be more accessible to you. Accommodation is generally cheapest Sunday through Thursday nights (more money saving tips here). To save more money book an hotel just off The Strip. 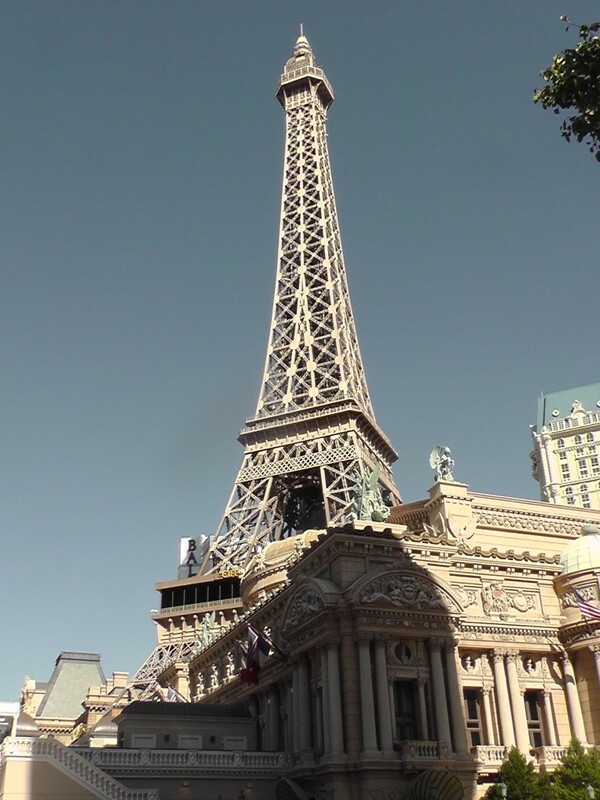 1/3 size replica of Eiffel Tower in Las Vegas. 4. Plan on lounging pool side. Pick a month to travel to Vegas when temperatures will be pleasant for lounging poolside. My ideal Las Vegas nights are at a show or strolling, my ideal days are poolside! You’ll see from this climate chart that winter in Vegas does get chilly. Shoulder seasons are ideal. Las Vegas has a fantastic discount store called “Ross Dress for Less” where you can buy corporate wear and designer dresses at rock bottom prices. If you’re visiting from the UK, AU, or NZ where prices are much more expensive, and you need “grown up clothes” for work this is fantastic place to buy them. You can also consider shopping via Amazon’s two day shipping while in the US and have your packages delivered to your hotel. Signing up for a free trial of Amazon Prime will get you two day shipping for free. 6. Las Vegas with Kids. 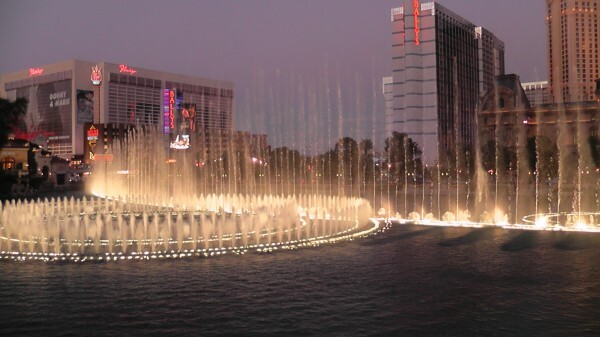 If you’re traveling to Las Vegas with kids, check out this family travel guide. Totally agree with these suggestions!! !